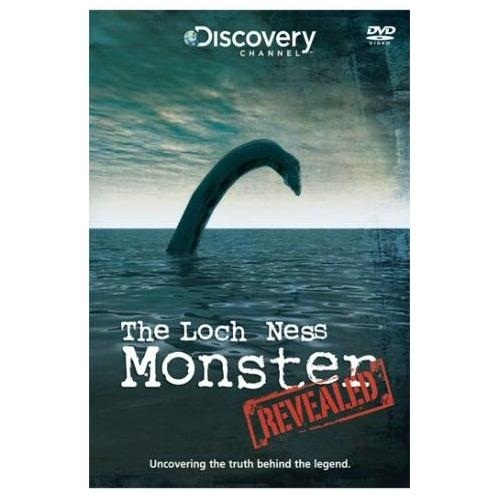 Animal Planet re-ran the 2009 documentary "The Loch Ness Monster Revealed" recently as part of their "Monster Week". So while it is fresh in my mind, I'll review it here. The plot is familiar, a group of experts in one or more fields came to Loch Ness in an attempt to shed some light on the 80 year old mystery. They go over the past, they do some exploratory work in the present and they predict what it might be if anyone in the future catches it. Sometimes it works, sometimes it doesn't. The thrust of this documentary was to attempt identification with a few experiments thrown in. Three experts in marine science and paleontology were brought with Philippe Cousteau (grandson of Jacques) in order to provide some answers while Adrian Shine provided local support and expertise. 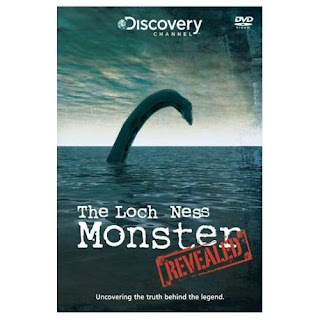 The investigation began with what the Loch Ness Monster could look like based on eyewitness, film and video evidence. One could see them leafing through old Loch Ness Investigation Bureau reports from the 1960s. This is no easy task in general since the data set is corrupted by a subset of hoaxes and misidentifications. There is also a smaller degree of error in what people describe when they see the real Nessie. Some of the old sceptical ground was covered as the Surgeon's Photo hoax was explained while the weak "bow wave" argument was trotted out for the MacNab photograph. To that end, some waves from passing boats were filmed and suitably zoomed in to make them look bigger (though I doubt anyone would be fooled by them). Some vehicles of misidentification were also discussed such as the underwater currents generated when the thermoclines tilts and recovers. Then we had the ducks, logs, swans, logs and seals. Did I say logs twice? Well, you get the picture. The Spicers' famous sighting was also discussed near the spot it happened and was discussed in a bit of a woolly manner I thought. The idea that the Spicers' long neck feature set a precedent for future Nessie stories is not tenable. It was perhaps the seventh report that made it into the newspapers. However, less than 20% of all reported sightings are head-neck, which suggests that being one of seven sightings is not statistcally significant. The more likely stance is that this is how the creature was always going to be reported. They also mentioned the so called "King Kong" effect, of which much was made of. I covered this canard in a previous article. Nevertheless, they came to the conclusion that a morphology not unlike our traditional plesiosaur was the best line of enquiry. So, that most familiar of Nessie candidates was examined along with some nice CGI of plesiosaur shaped Nessies swimming in a murky Loch Ness. You can always tell a Nessie programme is populist when it trots out the plesiosaur! The speculation revolved around whether some plesiosaurs survived the great Cretaceous extinction and what form they could take today after over 65 million years of evolution. There was plenty of scope there for possible paths of modifications. But for me, plesiosaurs today could look very unlike their well known predecessors. In fact, they could bear little resemblance to their forebears. But having decided plesiosaurs in this day and age were unlikely based on the the fossil record, they moved on. Other animals were briefly discussed but the discussion soon moved onto the modified sea-turtle theory. This basically was a sea going turtle with the shell removed, its neck extended and other additions such as blubber for the coldness of the loch and even some parthenogenesis to cope with low population numbers (it seems a Komodo Dragon performed parthenogenesis without male contact in a zoo recently). This all seemed logical to a certain extent and I always wondered whether reptiles evolved adaptions to cope with the current ice age we are in which has so far lasted about 2.6 million years. In situations like that, your typical reptile species either dies, moves to warmer climes or adapts to the cold which exists at the fringes of the advancing and receding ice caps. Such adaptions could prove useful in the relatively warmer waters of Loch Ness. The matter of food stocks was addressed and attempts were made to measure the levels of plankton in the loch. Here we had a chance to see Philippe Cousteau take to the loch depths and comment on how it was like swimming in tea ... or whisky. Their estimate came out at 200 tonnes which they translated as 20 tonnes of fish and hence 2 tonnes of higher predator (monster). That doesn't seem a lot but the estimates were lowballed in my opinion. The 20 tonnes of fish is consistent with the Loch Ness Project's estimate of 17-24 tonnes of pelagic fish but neither includes the migratory fish including salmon, trout and eels. The 10 to 1 ratio between fish and their predators (i.e. Nessie) looks more suitable for warm blooded creatures. What would a cold blooded plesio-turtle population require? How active could they be? Do they hibernate to conserve energy intake? Do they have other food sources? Crocodiles can drop to a ratio of nearly 1:1 in their domains. As you can see, not all the values in the equation were explored. In that light, the actual Nessie tonnage could easily rise above this meagre two tonne estimate. No one, in my opinion, can be dogmatic on these numbers ... but that doesn't stop us trying! Finally, the issue of how the monster got into the loch was explored. As said above, Scotland was in the grip of a gigantic ice sheet which temporarily receded over 10,000 years allowing the Ness valley to fill with water and let animal life come back in. How and when a Nessie sized creature got in is no mystery. It would have swam through the River Ness to the new loch when feeding opportunities consistently presented themselves. What is not so clear is this idea of Nessie getting "land-locked" as the land rose when the icesheets melted. I don't think Nessie was and is in any sense land-locked. Doubtless, the changes to the river made with the construction of the Caledonian Canal presented challenges, but that is it. In an experiment that looked more fun that serious investigation, our team's boat tried to get over what looked like Telford's Weir in an attempt to simulate Nessie heading into Loch Ness. They failed miserably but given the fact that Nessie goes onto land for short periods, I would reckon it would be less of a challenge to her. How often the Loch Ness Monster actually attempts this, I have no idea. All in all, a documentary that was more entertaining that informative. Could Nessie be a plesiosaur shaped turtle? I personally doubt it, just because I would expect it to be seen more often. Put a leatherback turtle in Loch Ness and see how good it is at hiding. I am not saying you or me personally would find it from a standing start, but I am sure adequate pictures would begin to turn up in the days and weeks ahead (assuming it survives in the loch). The Loch Ness Monster is a primary water breather, so excursions to the surface are rare to say the least. In the light of recent sceptical remarks about gullible and naive Loch Ness Monster proponents, I wondered what the classic books actually said on these well known pictures. So, I dug out what books I had on the pictures and drew up a matrix of opinion. The authors I was interested in were Rupert Gould, Constance Whyte, Tim Dinsdale, Ted Holiday, Nicholas Witchell and Roy Mackal. What did they make of the Gray, Wilson, Adams, Stuart, MacNab, Cockerell, O'Connor, Dinsdale, Rines and Shiels photos? The answer was not uniform as one would expect. Some pictures and films are not included but it always strikes me how thin photographs and film are on the ground. No photographs between 1935 and 1950 and very little between 1961 and 1971 despite the LNI's attempts. Put it another way, where were all the so called hoaxers? One simple rule should apply, the number of hoaxed Nessie pictures should be proportional to media interest. I don't actually see proof of that statement in the overall record. The "NA" applies to photographs published after the book in question. Sometimes the author's opinion seems ambiguous in that they offer a sceptical or proponent interpretation in which case the inconclusive or neutral category is assigned. The table is produced below and you should click on it to enlarge it for closer detail. There may be some mistakes in the table, point out any you think are there. These are judgements based on the written evidence, authors may well have altered their opinions later, confirmation with sources would be appreciated. The results are not too unexpected, though some things should be highlighted. Firstly, the F.C.Adams picture is not so much rejected as ignored. Only Mackal accepts it while Witchell merely calls it an unidentified object in Loch Ness which to me is a neutral statement. The rest say nothing which may mean nothing but I suspect silence suggests the preconception of a very long neck is being mapped onto this picture and hence leading to a quite passing on. Holiday is the most non-committal author in his two books as only four out of the nine he could comment on actually get a mention. I wondered if omission is as good as rejection here? The Adams and Rines flipper pictures would not have fitted in with his Tulliomonstrum invertebrate! I suspect where the "NC" appears elsewhere, there could well have been more personal bias than just no room to mention it in the given book, but that is very much for each reader's opinion. Nobody backs the O'Connor picture, even Dinsdale drops it in later editions after giving it the nod in his first edition. Holiday gives it no mention although looking quite Tullimonstrum like! The Dinsdale film is the only one to get 100% green positives. Comparisons between first and later editions tells us something about the given author's journey. Dinsdale grew cold on the Gray, Wilson and O'Connor pictures but "promotes" the Stuart picture along the way. Interestingly, Dinsdale only explicitly rejects the 1975 "gargoyle" head picture. One wonders where Dinsdale would have stood if he was alive today? The sceptics would doubtless have him over in their camp, but I would not be so quick to judge the man. I don't doubt he would have dropped the support for the Shiels pictures. What he would have done with Frere's pronouncement on the Stuart picture, I don't know. Witchell between 1974 and 1989 has definitely grown more negative about the evidence. Three pictures are downgraded and the 1975 Rines pictures are rejected. Though these were not mentioned in the 1974 book, they were promoted as positive evidence in the 1975 edition. Witchell seems to have completed his journey over to the "other side" in later years. Roy Mackal is still with us and I would like to know how he would assess his 1976 list today. The one person that interests me most would be Ted Holiday. Since he believed in a paranormal Loch Ness Monster, how would that have influenced his assessment? He and Dinsdale had about seven sightings between them and that has an effect on assessment. If you do not think there is a large creature in Loch Ness, then the whole line is red. But I don't think that Holiday and Dinsdale would run the red line right through. One thing seems for sure, I doubt many pictures would be promoted as opposed to downgraded today.